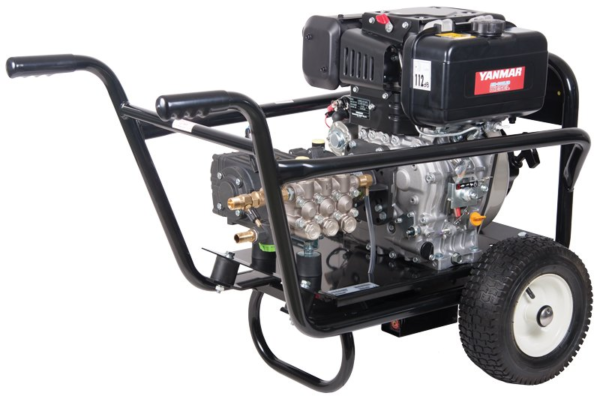 The Rapier 15200 cold power washer is a 200 Bar diesel driven machine on a trolley with large wheels. An ideal machine for cleaning in changing locations, due to no need for a power supply like most other cold jet washers. “Pulsating Pressure” Contact us for service. “Pull cord snatching” Engine valve clearance re-calibration required. “Spluttering” Cold combustion engine service advised. If you’re in cirencester and need a service or repair on your Rapier 15200 call, email or drop-in to our Bristol service and repair centre.